Heads of Police, Army and Prisons at a Press Conference held in Naguru on Saturday 25th, August 2018. The Chief of Defence Forces Gen David Muhoozi and Inspector General of Police Martin Okoth Ochola have denied reports that security agencies tortured opposition politicians in Arua. 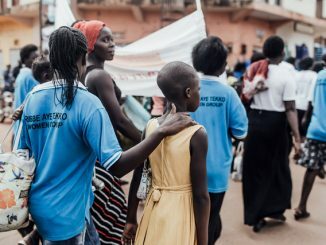 Five MPs and other suspects were arrested during the final rally of the Arua Municipality by-elections on 13th August, 2018 after Wadri’s supporters allegedly stoned the president’s convoy. 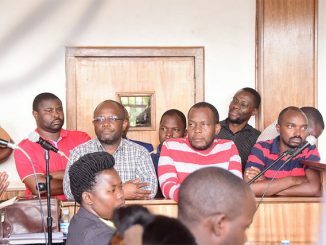 Some of the suspects who were allegedly battered by Special Force Command (SFC) include MP Mityana Municipality Francis Zaake who is still admitted at Rubaga Hospital and MP Kyadondo East Robert Kyagulanyi alias Bobi Wine. 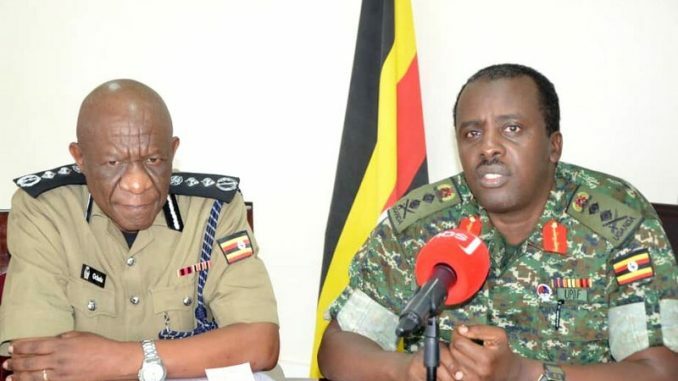 Speaking at Naguru Police Headquarters on Saturday, Muhoozi and Ochola said, the alleged torture of the suspects is worth investigating to ascertain how they sustained the injuries. Muhoozi says, the army can only account for suspects like Bobi Wine from the time they were brought into custody. The security chiefs have also explained why police officers and soldiers arrested some of the suspects from a hotel located more than four kilometres away from the scene where the President’s motorcade was stoned. Muhoozi says the presidential security personnel weighed their options and decided to first take the President away from the chaos and later returned to arrest some of the suspects. Ochola adds that the suspects had already left the scene of crime by the time security arrested them. The shooting of Yassin Kawuma is also still a mystery. The police Criminal Investigations Directorate have already opened up investigations into the murder of Kawuma. Detectives are still searching for the people who were in the vehicle with Kawuma to record statements. Gen. Muhoozi also denied allegations that Kawuma was shot by the army.